A fuzzy orange creature famous for standing on a stump played a role in a legal decision on a major natural gas pipeline this week. A federal judge on the 4th U.S. Circuit Court of Appeals quoted Dr. Seuss' beloved environmental warrior in a decision calling for the U.S. Forest Service to revisit its approval for a natural gas pipeline on the East Coast to go forward. 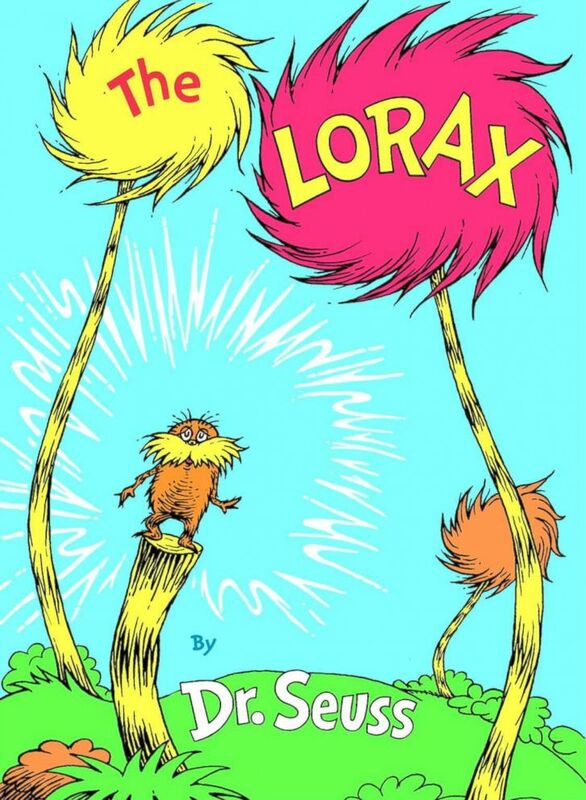 "We trust the United States Forest Service to 'speak for the trees, for the trees have no tongues,'" Judge Stephanie Thacker wrote, quoting Dr. Seuss' 1971 book "The Lorax." "A thorough review of the record leads to the necessary conclusion that the Forest Service abdicated its responsibility to preserve national forest resources. This conclusion is particularly informed by the Forest Service’s serious environmental concerns that were suddenly, and mysteriously, assuaged in time to meet a private pipeline company’s deadlines." "The Lorax," by Dr. Seuss. The decision issued Thursday was the latest move in ongoing lawsuits seeking to block the Atlantic Coast Pipeline, a 600-mile underground natural gas pipeline through West Virginia, Virginia and North Carolina. The route for the pipeline would cross the Appalachian Trail and George Washington and Monongahela national forests, which environmental groups say could be threatened by the project. Environmental groups, like the Southern Environmental Law Center and the Sierra Club, have argued in this case that Dominion Energy, the company behind the pipeline, went around Forest Service officials who expressed concerns about the project and asked political appointees in the Trump administration to approve the project. 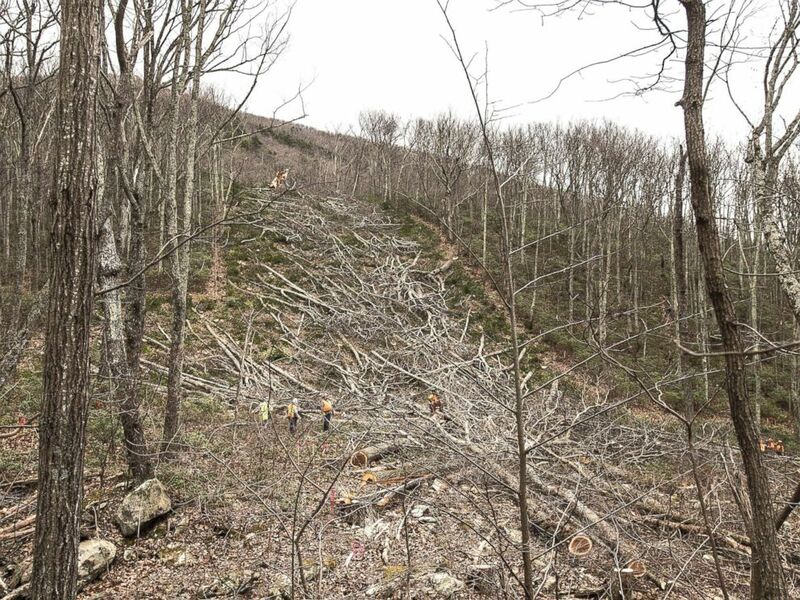 Crews walk near fallen trees as they clear the route for the Atlantic Coast Pipeline in Wintergreen, Va., March 6, 2018. Thacker and the two other judges on the panel agreed Thursday that the Forest Service permits should not have been approved because the company didn't provide information to resolve the agency's earlier concerns. The permits were vacated and are no longer valid. Greg Buppert, a senior attorney with the Southern Environmental Law Center, also said the decision found that no federal agency has the authority to allow a pipeline to cross the Appalachian Trial, essentially blocking the planned path for the project completely. Atlantic Coast Pipeline spokesman Aaron Ruby said they strongly disagree with the court's ruling and plan to appeal immediately. He said other federal agencies have said the Forest Service does have the authority to approve pipelines across the Appalachian Trial. "We are confident we will prevail on appeal," he said in a statement. A spokeswoman for the Forest Service said they will review the court opinion and look into their options before taking any further action.